Do you ever get drawn to certain colour combinations? At the moment I’ve been feeling really drawn to greens mixed with whites. I obviously need snowdrops to start blooming – haven’t we had enough winter yet? This last Saturday I got to have a proper lazy day. Lately it seems like we’ve been really busy, which I love but it is always nice to have a rest! 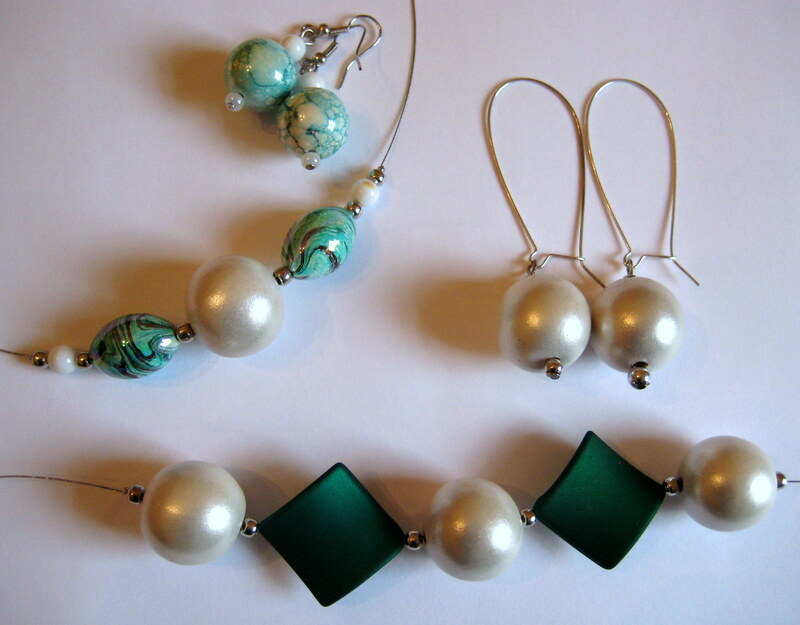 So the morning lie in was followed by an afternoon of jewellery making whilst listening to a new jazz album. Bliss! Plus I am feeling more confident about my jewellery making skills since my first attempts back in November. 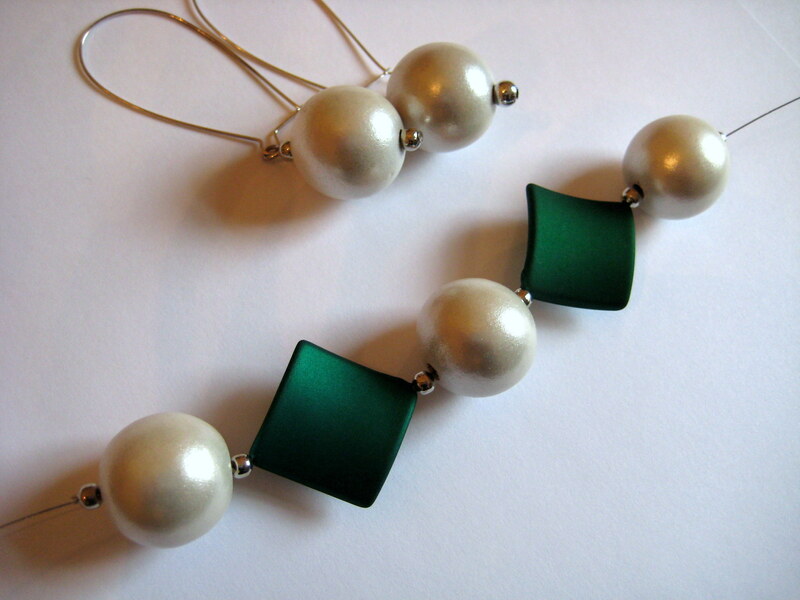 I am loving this green and white necklace so much I’m going to keep it. The matching earrings are on really huge hooks, which are unusual and I like how they drop the bead to jaw level. What’s your idea of crafting bliss? My idea of crafting bliss is a big cup of tea, time to work on my stripy crochet blanket and my cats sleepy enough to leave my yarn well alone. Mostly I get two out of three! 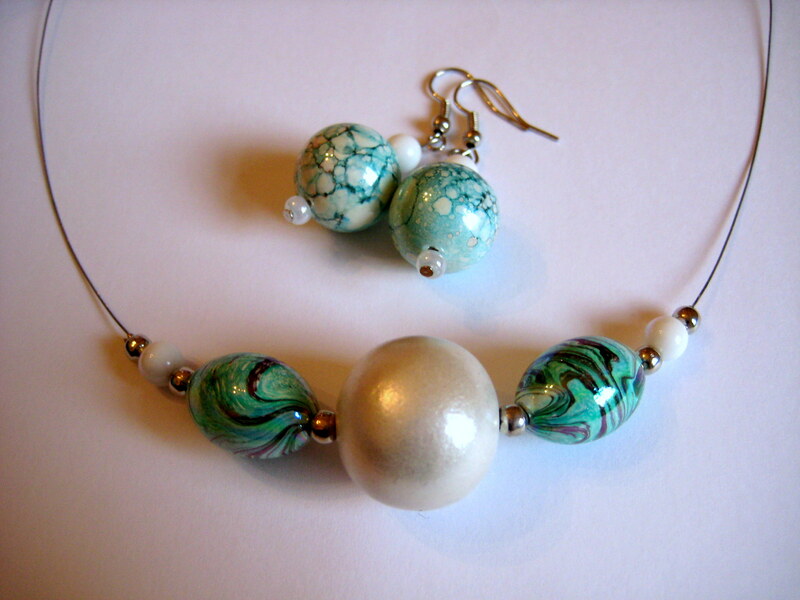 Love the marbled beads BTW. Beautiful jewellery as always! I do love that green colour, one of my favorites!